So a little while ago we went on a little trip in a hot air balloon. A Balloon Safari! Seriously you have to do this even if it is just once, and I have a feeling that if you do it once. You will want to do it again. Even if you are scared of heights, gas and fire. There are few things that are as calm and as peaceful as gently drifting along a beautiful landscape with no noise. Other than the roar of the twin burners once in a while. The early morning chill still in the air. Trust me on this one. We left home at around 3:30am to take the drive out to Bill Harrop’s Original Balloon Safaris which is about a 80 minute drive from Johannesburg, The Clubhouse, and jump off area is on the R560 Skeerpoort road, arriving as the sky started to lighten, a little after 4:30am. The first thing you notice are a few baskets and and teams of people around them starting to get the balloons ready for flight. There is a slight chill in the air, luckily we were doing this in the midst of summer. You are welcomed to the clubhouse and meet up with a few other excited but slightly nervous travellers who will be joining on the trip. 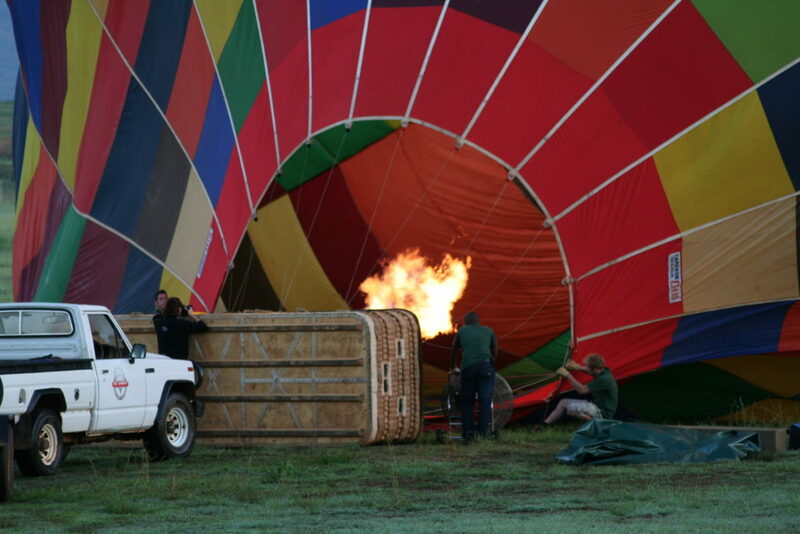 Have a coffee while you wait for the balloons out on the field to be prepared for flight. After some small talk we are sent off to our balloons. Once you climb into the basket, which is segmented in to a number of “boxes” the Pilot moves you around a little so that you balance the load. You hear a constant but quiet hiss of the burners at idle, once everyone is settled a thunderous roar breaks the morning silence and more than a few people sharing the basket with you are taken by surprise. You may even hear a small shriek or two. Suddenly there is a lifting sensation as you and your fellow travellers are slowly but very surely lifting off the ground. It is an odd feeling, it really is. After a few more long burns the balloon is up, probably 100 meters or more in what feels like just a minute. the vehicles and people on the ground slowly get smaller and start to drift away below you. A few more long burns and you go higher, catching a gentle air current that takes you along. Once those burners go still again, you quickly realise how amazing it is to be up there. It is quiet, still, floating along in the still slightly chilly air. Slightly chilly until the burners fire up again. As you slowly drift you see a rabbit dashing over a field. 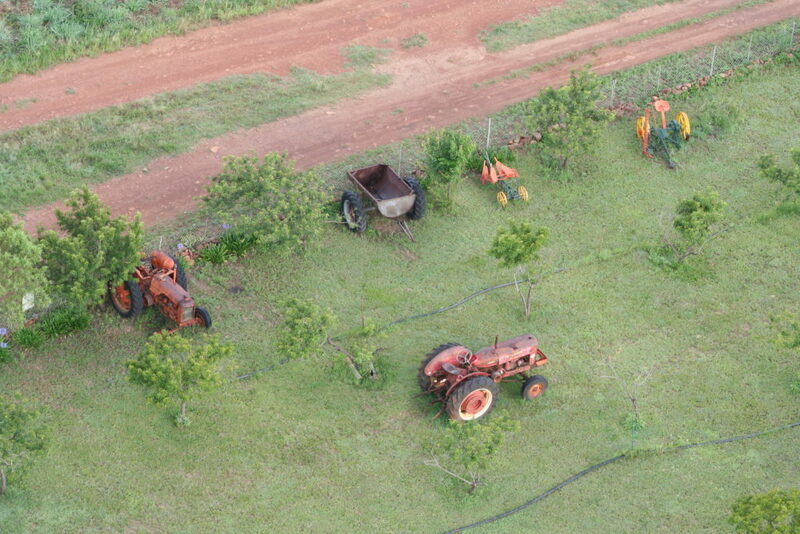 Old farm buildings, a few tractors. Cows quietly grazing below, birds flying below you in a large V formation. I wonder if the Montgolfier brothers thought we would be doing this sort of thing for fun 230 odd years after their first flight. 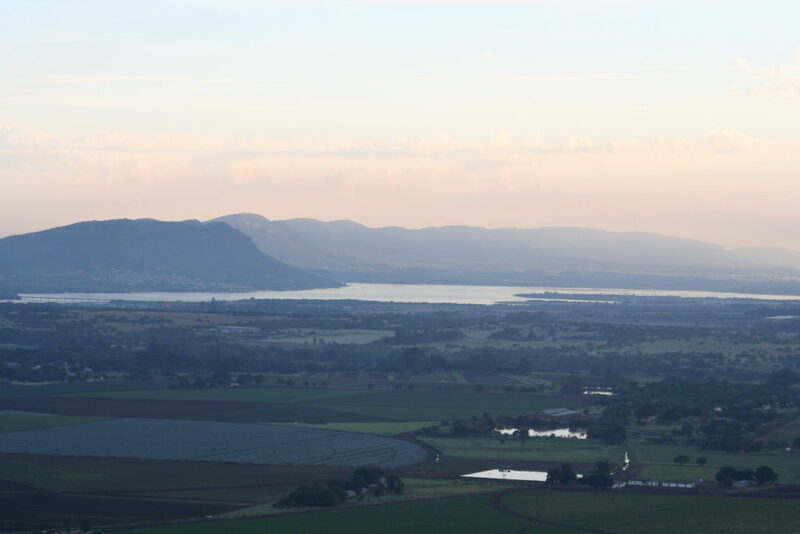 We slowly pass Hartbeespoort dam the sun shimmering off the water. The sun is still rather low, it is not even 6:30am yet. You slowly make your way over the houses and farm lands. You will notice two or three vehicles following far below. They will be meeting up with you once you land and take you back to the the Clubhouse. Unfortunately the trip will be over far too soon, even though you have been up in the air for around an hour, it is possibly one of the most fleeting hours you will know. When start your descent, another rope is pulled to let a little hot air out, and you notice that the burners are not roaring as much as they did or half as often, you slowly and gently get lower and find yourself over a field of deep green, and those vehicles are closer now. As you get lower and lower you see the team below preparing for your landing, the balloon pilot carefully and gently lines up as much as the light breeze will allow. There are a few ground crew below helping to steer the basket down using the ropes that hang below and somehow lands the basket as gently as the take off..
Once you are back on the ground, (all too soon) you are given a glass of champagne, or Mimosa, yeah, I’m a beer guy too, but what are you going to do? You then climb back in a minibus and are taken back to the Clubhouse, where a champagne breakfast is waiting. Exactly what you needed after waking up at 3am and floating above the ground for an hour or so. Coffee, toast, bacon, sausage, eggs and almost anything else you would expect. Of course while eating breakfast we all had a laugh and a talk about the experience, in our group there were a few that went up nervous, but they came down and converts, there honestly there was not a single person who wouldn’t do it again. Its hard to explain how calm the air was and how quiet and relaxing this is. Which if you think about it for a few moments doesn’t really comprehend. There you are 200 meters or more off the ground. Floating in a wicker basket suspended under a big sack of hot air. With what I would think is a crazy person pulling on a rope attached to a set of burners, connected to a gas cylinder, that blast flames two meters or more high above you. However it’s not madness. Somehow it is calm, majestic, peaceful even and I can only tell you the wonders of it, you have to try this out. I promise you. The balloon pilots are a professional bunch. In the case of Bill Harrop’s the pilots have a cumulative flying time of around five thousand hours, and in a number of places around the world. A very professional team of people in the air and on the ground. Hot Air Balloon masters. 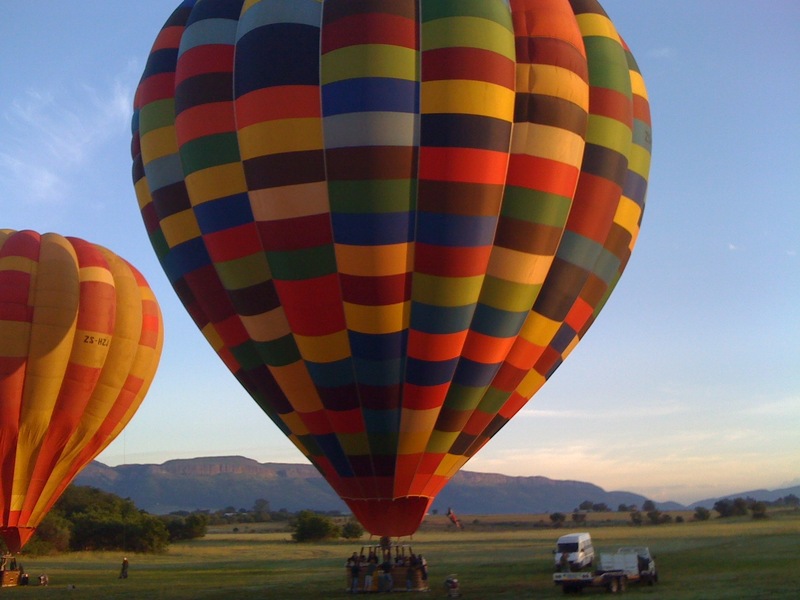 Traditional Package was R2570 (US $220, €175 or £155) per person. This was a 60 Minute flight, or there about. The cost includes Tea, Coffee and biscuits (cookies for some of you) before the flight. As well as the Champagne breakfast afterwards. 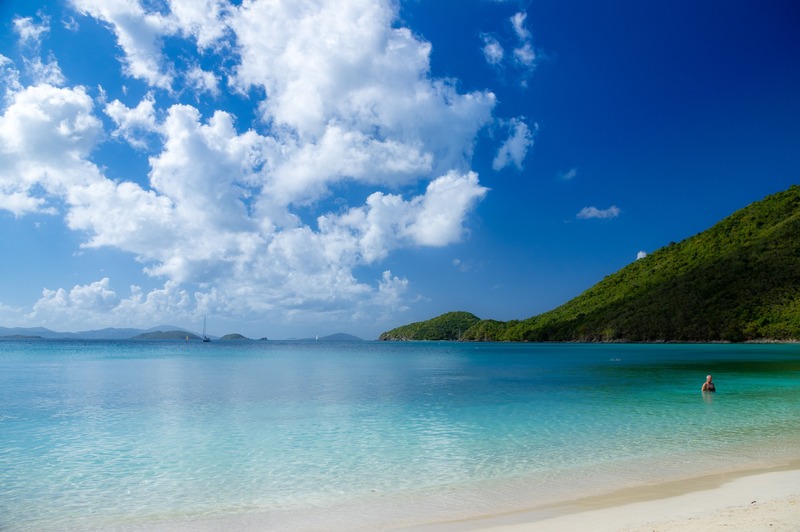 Pricing and flight times vary depending on the time of year, and the number of people that you book for. I really hope that you will try a flight in a Hot Air Balloon. If you have not already done so. if you have you will know what a fantastic experience it is. Lastly, as a disclaimer. I have not been asked or paid to do any write up on Bill Harrop’s Original Balloon Safari’s. Or the hotels mentioned.. I have heard good things about the hotels I have linked to above. 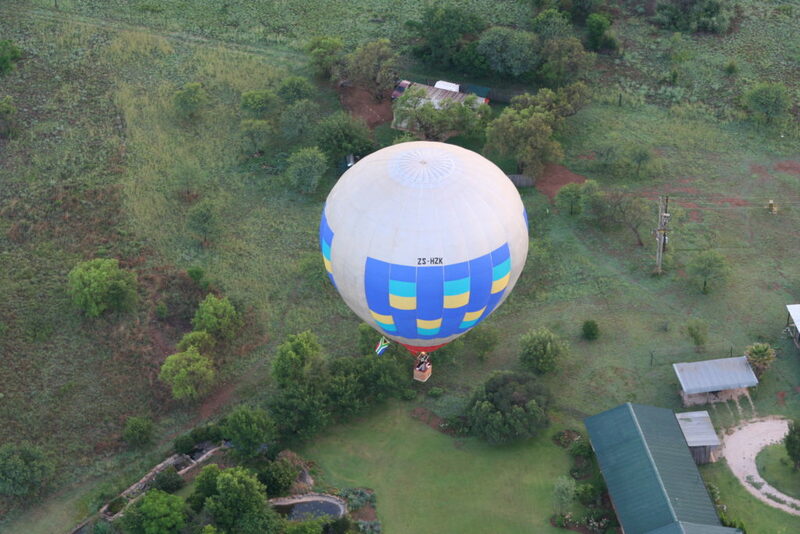 Also the balloon safari was based on personal experience. Previous PostPrevious Beware, change is coming!